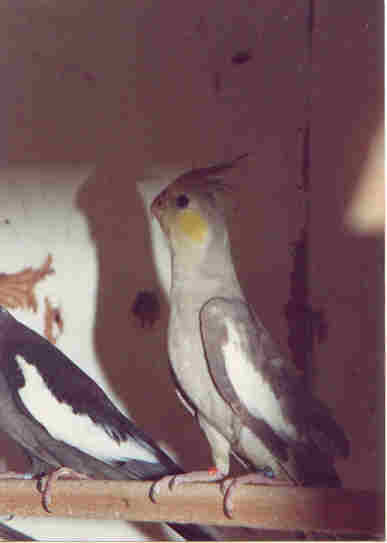 "To provide quality rare and mutated Cockatiels and Parakeets to those who will love and enjoy them," quoted from the owner, Herman H. Troche. Aloha Tiels, your one stop shop for much more than Cockatiels, Green Check Conures, and Yellow Red Belly Turquoisine Parakeets. It is the peace of mind that you are getting the best for your money. Just contact us for information about your purchase. Our mission is to help you enjoy your purchase. Please shop with us to ensure you get the most bang for your buck. We have been here for more than a few years, and we will be here for many more. HOME* BREEDS* CARE GUIDE* RESOURCES* CONTACT US!